Burts offer an award winning premium snacking range. Burts thick cut British Potato chips are hand-cooked in Devon, with real taste, proper crunch and made by real people. Potatoes are locally sourced, sliced and cooked in small batches. Branded display baskets and point of sale are available to customers who wish to increase their snack sales. 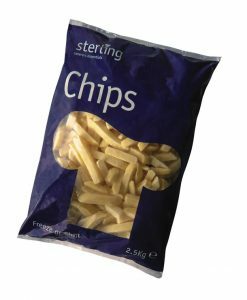 Sterling Caterers Essentials products are available exclusively through Sterling Supergroup Members and are developed specifically for caterers. The brand offers a wide range of quality chilled, ambient and frozen products and are priced to be competitive in the market. For more information on the range or to request samples, please contact our office and we will be happy to assist you. Walls Have been producing Ice Cream since 1922. We stock and supply the full range of Impulse lines, as well as Ben & Jerry’s, Carte D’Or Scoop, Mr. Whippy Soft Mix and Calippo Slush. Equipment, Freezers and Point of Sale are all available to our customers. Please contact our office if you would like to find out how Walls Unilever can benefit your business. 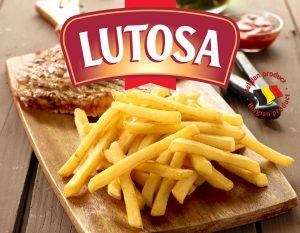 Lutosa specialises in the development and production of pre fried, frozen french fries and speciality potato products. Lutosa supply T&L with a wide range of chips including Skin on, X-Tra Crispy, and Freeze Chill. All of which are available in various sizes. T&L also stock Lutosa Roast Potatoes, Hash Browns, Seasoned Wedges, Mashed Potatoes and more! Samples and demonstations are available to all volume users. Formerly known as Nestle and R&R, Froneri is one of the worlds biggest Ice Cream manufacturers. T&L stock the full range of Froneri impulse lines, which include brands like Cadbury, Rowntrees, Oreo and Toblerone. 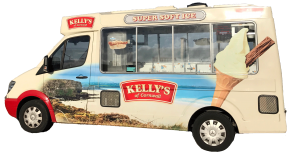 T&L also stock and supply Kelly’s Ice Cream which is produced in Cornwall, and only uses local dairy farms. Froneri can support our customers in a number of ways, including freezer & equpiment deals, point of sale and additional target led discounts. Cleenol manufacture an extensive range of cleaning and hygiene products. 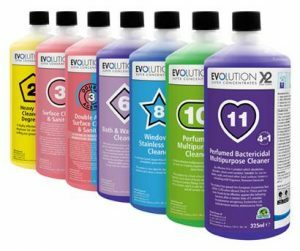 In addition to our own label cleaning chemicals, we stock a range of Cleenol products. Cleenol are there to help customers with specific requirements, such as laundry or kitchen systems. Cleenol will work directly with our customers to choose the right product for the purpose, provide training, wallcharts and guides, helping them maintain the highest levels of food hygiene and health & safety. Coca Cola is one of the most recognisable brands in the world. They also manufacture many other well-known brands such as Fanta, Sprite, Oasis, Monster, Fuze and Glaceau to name but a few. 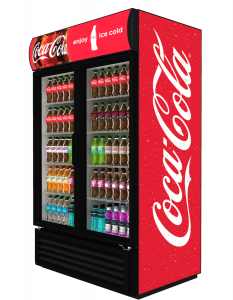 Our customers can take advantage of our relationship with Coca Cola by gaining access to their field sales team, who can provide the best advice on which range to carry in order to maximise sales. 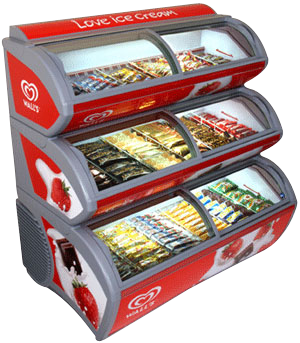 We can also offer chillers, equipment and other marketing support through Coca Cola.